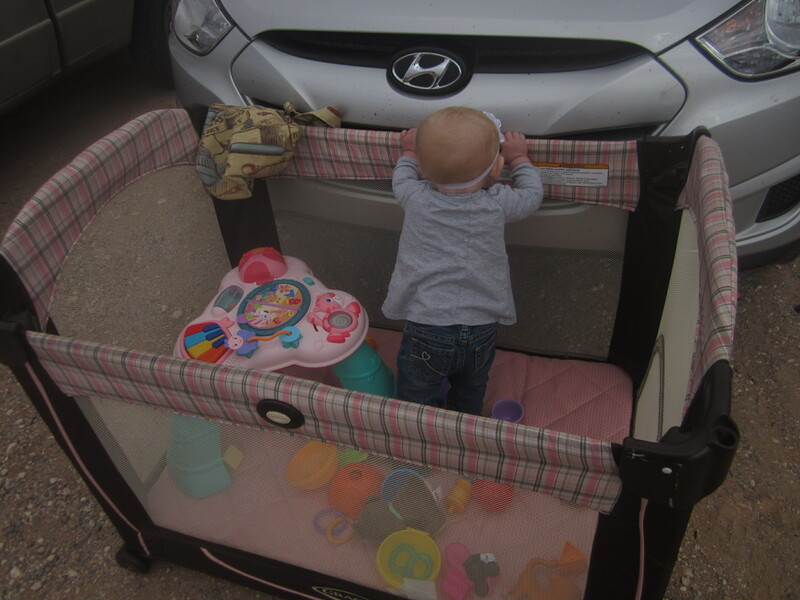 My “fan” playing with her car while I was out racing…. 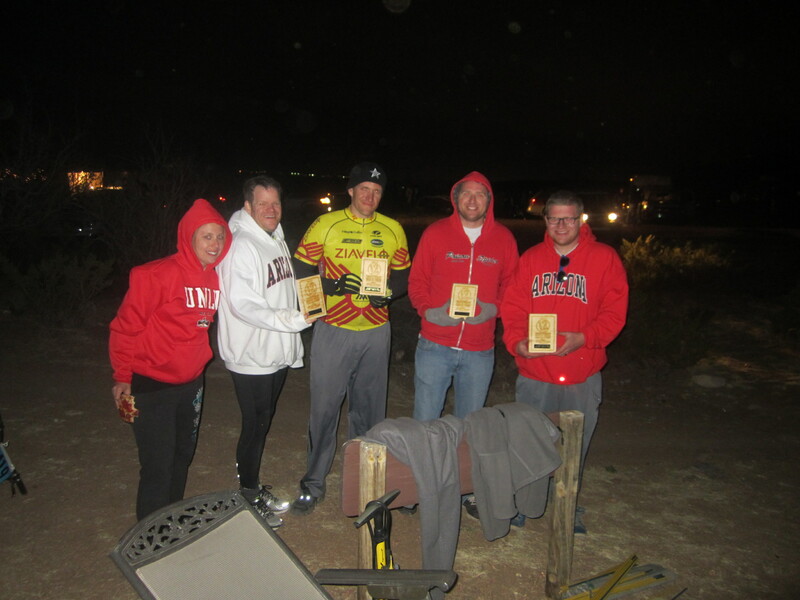 It has been a while since I have updated our races around here on the blog. Unfortunately I haven’t raced a lot since we are down to one paycheck right now while I stay home with Olivia. Only one of us can race at a time, so I usually push Mike to race! 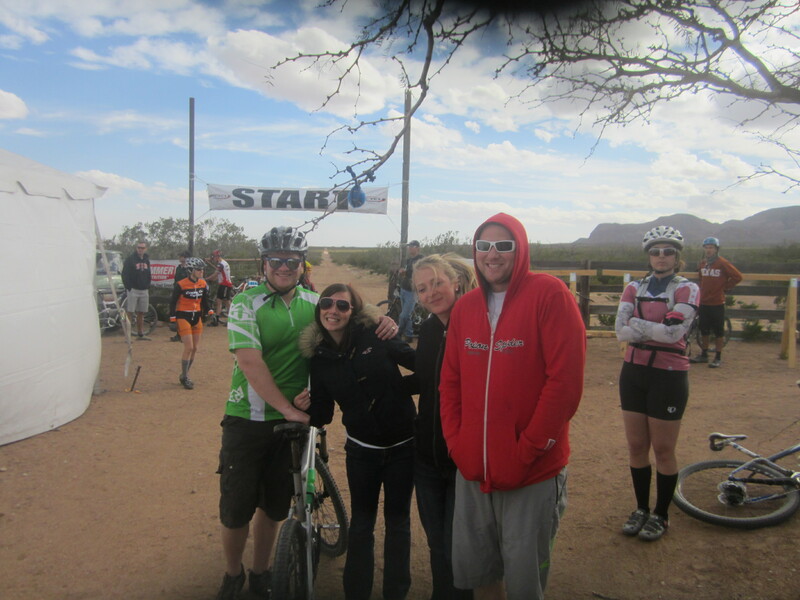 But, I was so excited to do my first duathlon back in April! 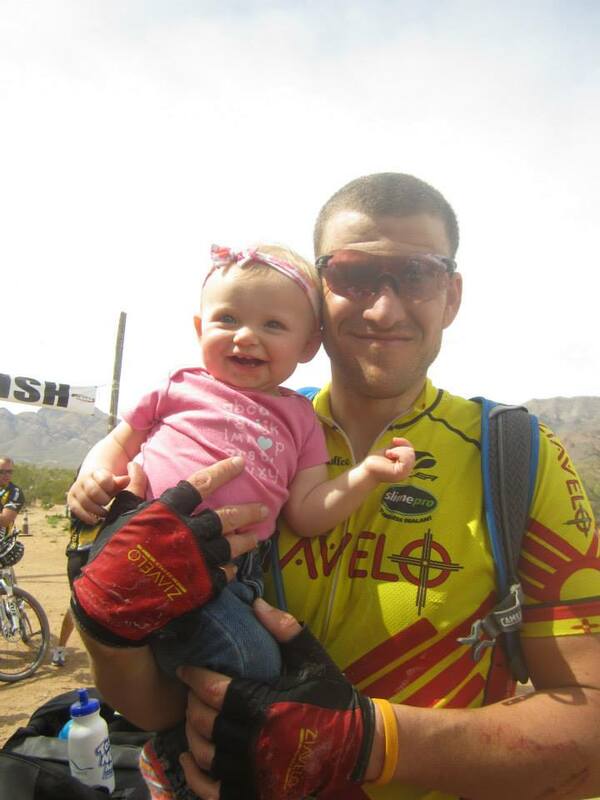 Last year Mike signed up for the Joker Duathlon knowing that Olivia’s due date was the same weekend. 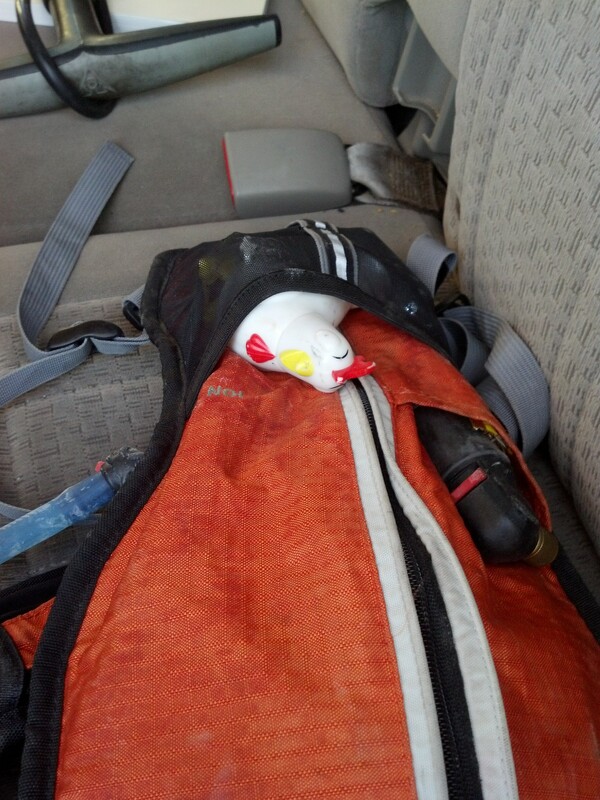 We figured she wouldn’t be on time….boy were we wrong! I started going into labor that morning. Mike and I were trying to decide whether or not he should just go since we knew it would be a while, but we didn’t want to chance it. Now a year later….in honor of Olivia…mom had to give it a try! Considering I am still twenty pounds up from my pre-pregnancy weight, I knew I would have some difficulty, but I really had a lot of fun. 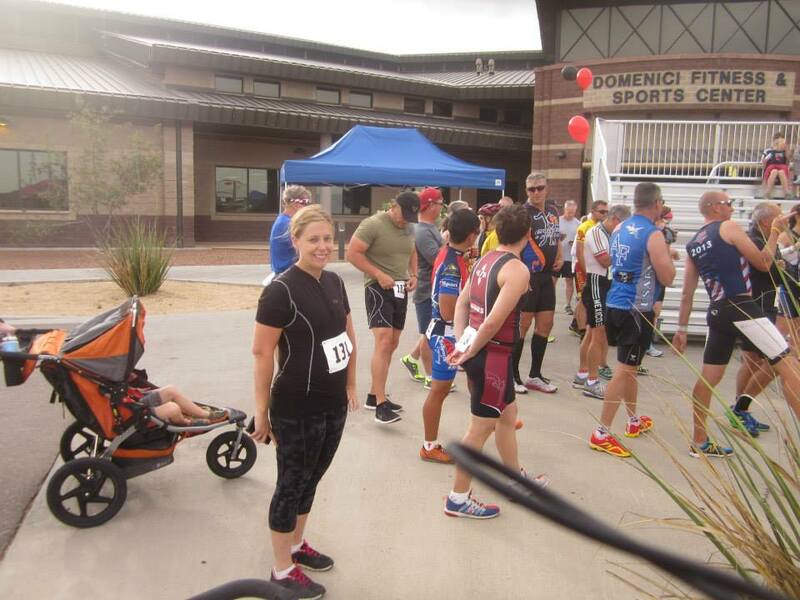 This was taken at the starting line at Holloman Air Force Base. I was so nervous! 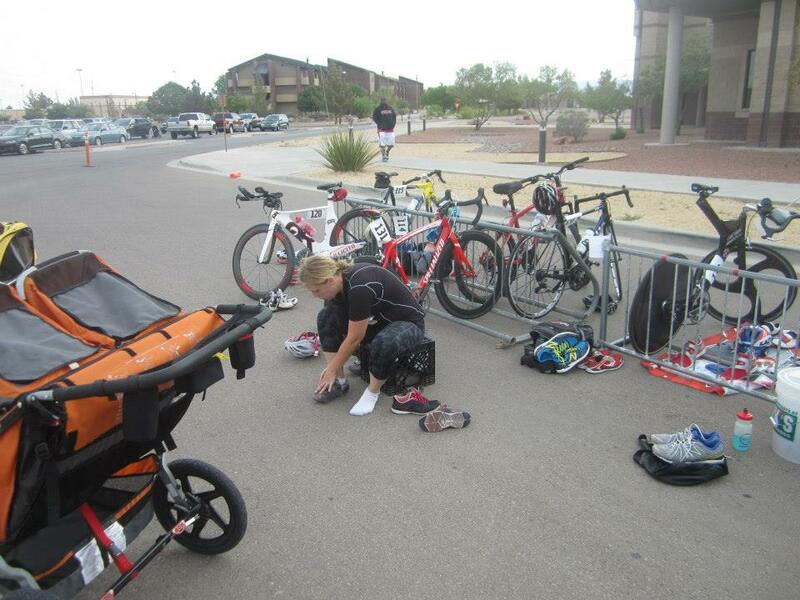 I had never done a duathlon before. And we were off. The first run was an 8k and we took a path out to a cone and turned around. I actually liked how flat it was and was holding a pretty steady pace at around 9 minutes per mile. 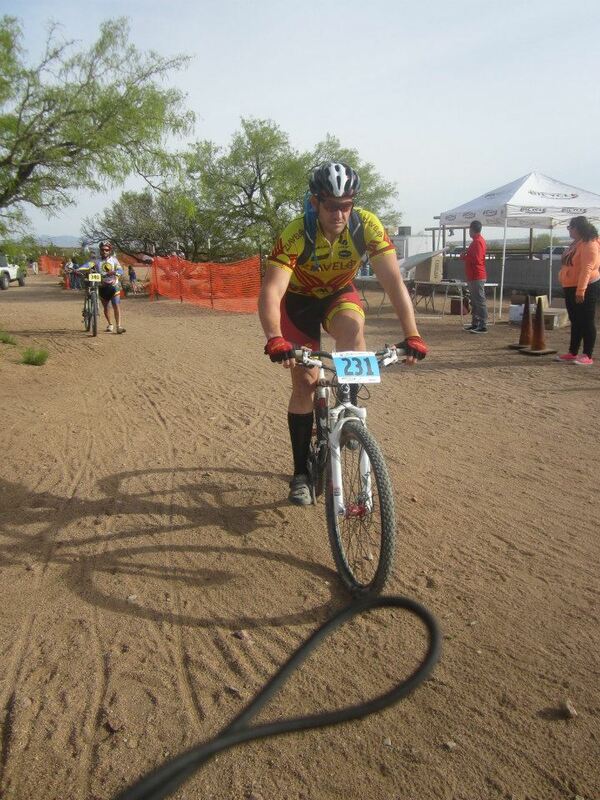 I didn’t want to overdo it because I knew the bike was coming up. Transitioning was a little hard for me because I couldn’t get my shoes on and I was worrying about Olivia (which I shouldn’t have!). 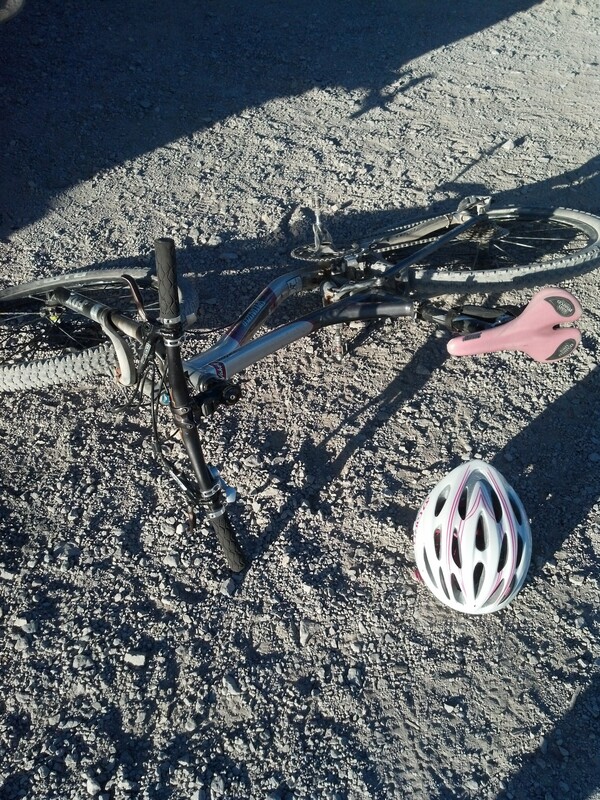 But I was soon off and on an awesome bike route of 18 miles. 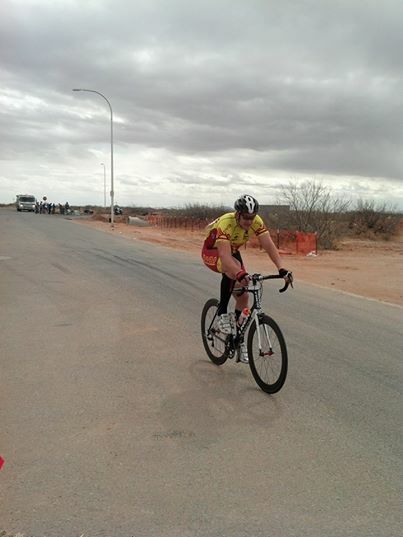 We went around the super nice roads of the base and then turned around and came back the same way we came so I could see who my competition was ahead of me. 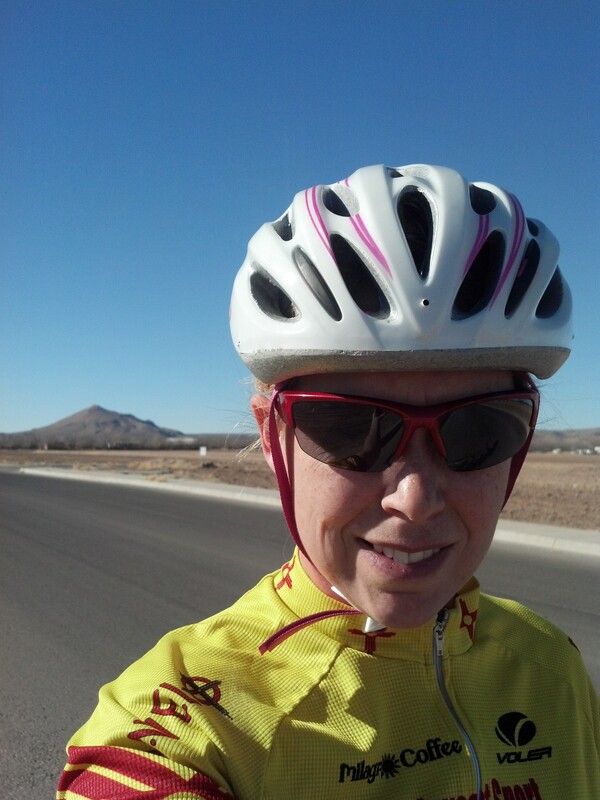 The road was a little windy going out and I was super hesitant about going fast. I made it my goal to do the bike in under an hour. I really wanted to beat all of the girls! I passed a lot of people on the way out. 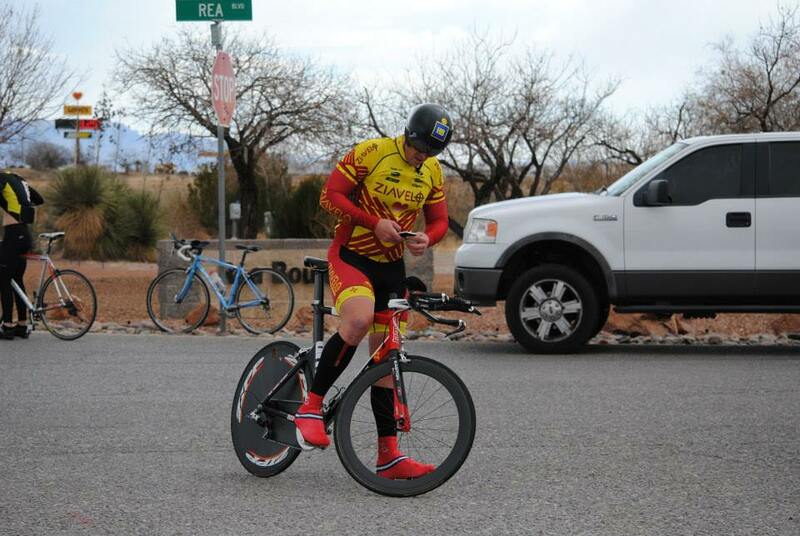 I give Mike the credit of coaching me on how to TT even without a TT bike. 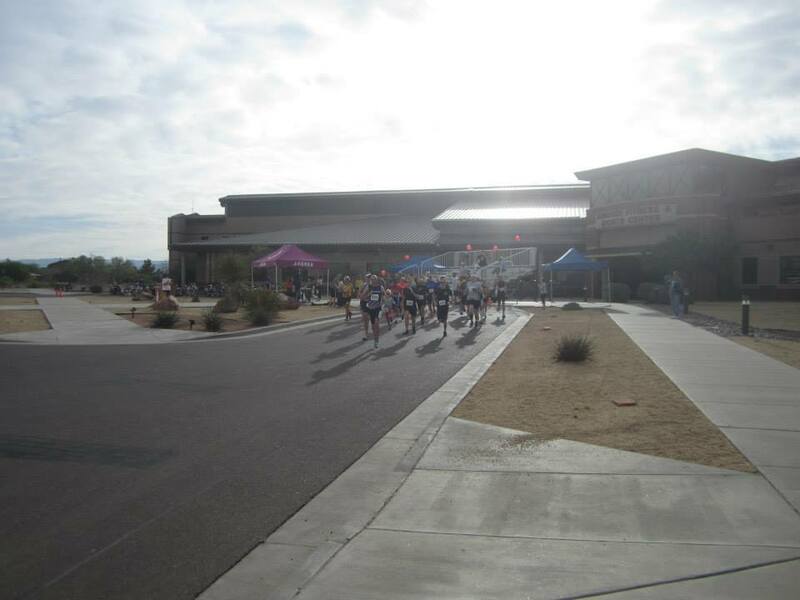 I was in the middle of the pack on running but was catching up to some of the faster runners on a bike. By the end, I was around two girls that I knew I had to get on the run. All three of us came back on the bike at the same time. I took off running for the next 5k making sure to watch the girls. 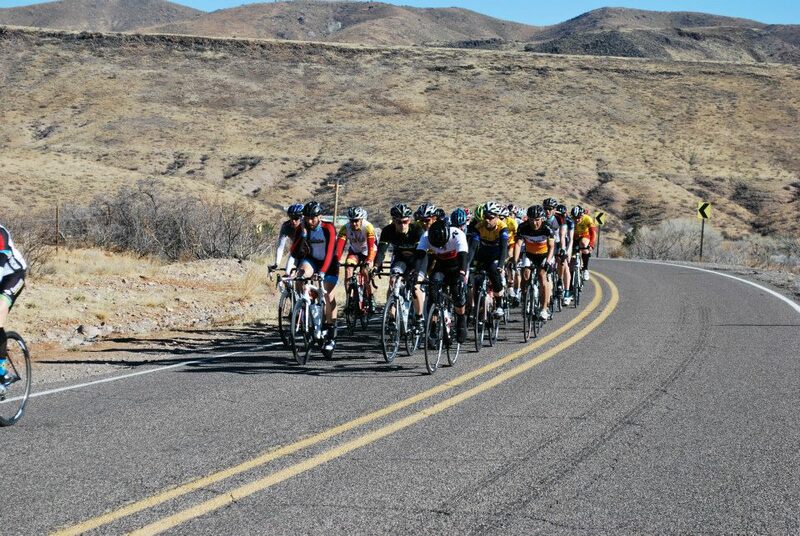 We all kept a pretty similar pace out and then made the turn around. I was able to pass one girl, but the other one was pretty fast and was gaining speed. 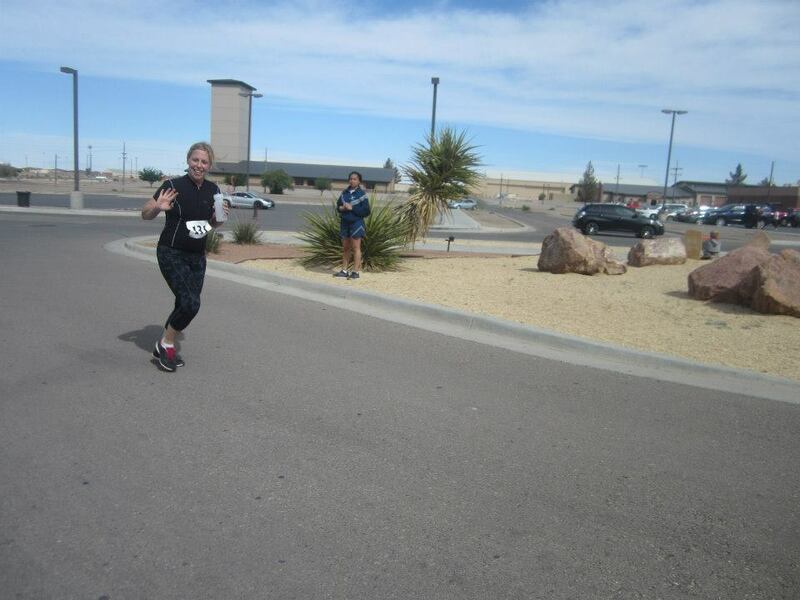 I made it to the finish line….seconds…behind the girl and got 2nd place because of that! I was really happy with my effort and glad I was able to do it. I also was able to bike in just under an hour. I definitely will race this again! It was awesome! 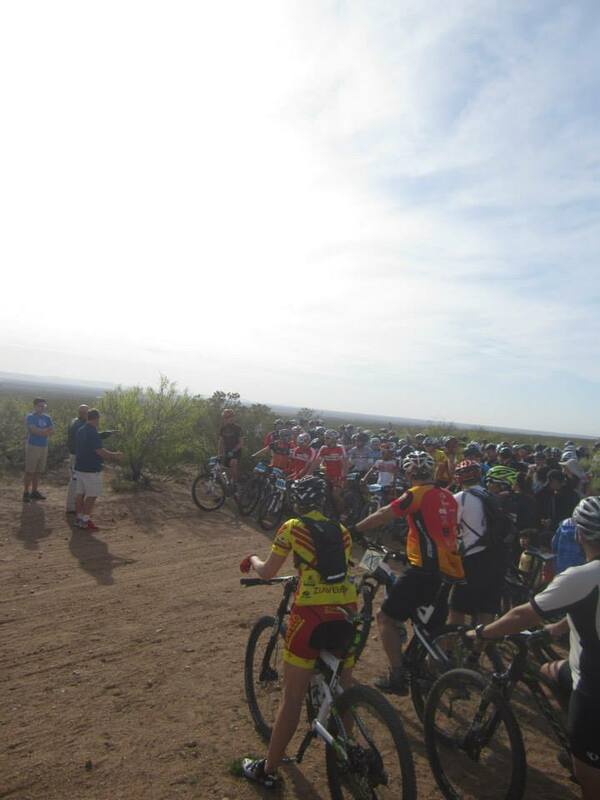 The Coyote Classic is the first race of the NMORS season and it is always a good welcome to the mountain bike race series. Luckily this year we had a little bit of cooler weather. It took place on March 30, 2014. Because I am such a slacker with blogging and I’m writing this in July, I will try to recap as much as possible! 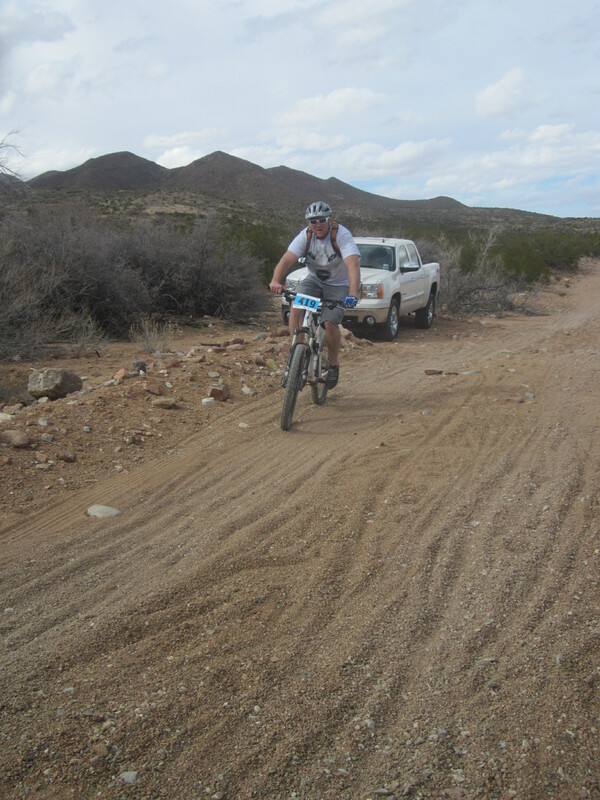 Normally Mike and I both would have raced this race, but after doing the 12 Hours of El Paso, I realized I definitely was not ready for the sport course of the race. Sometimes I wish I could go back to the beginner days just to build up my stamina. 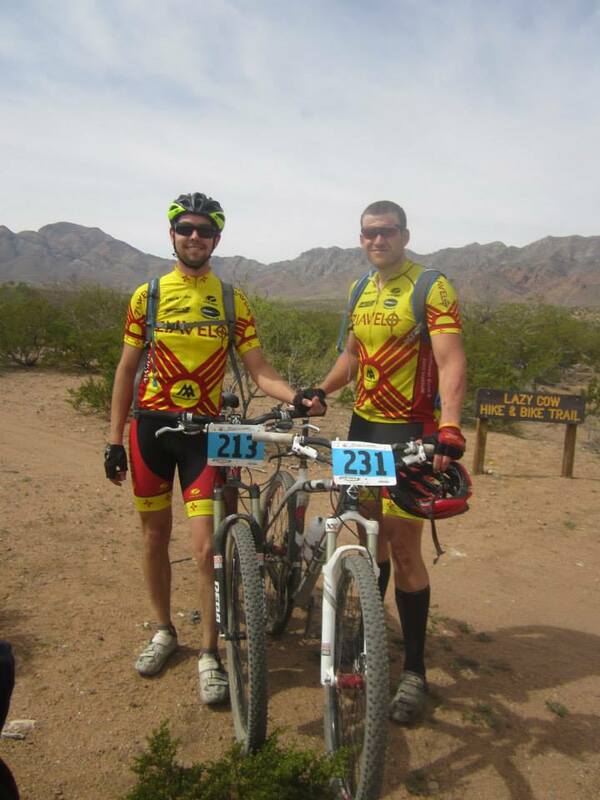 Here is a pic of Mike and Eric Sortemme, a good biking buddy of his. 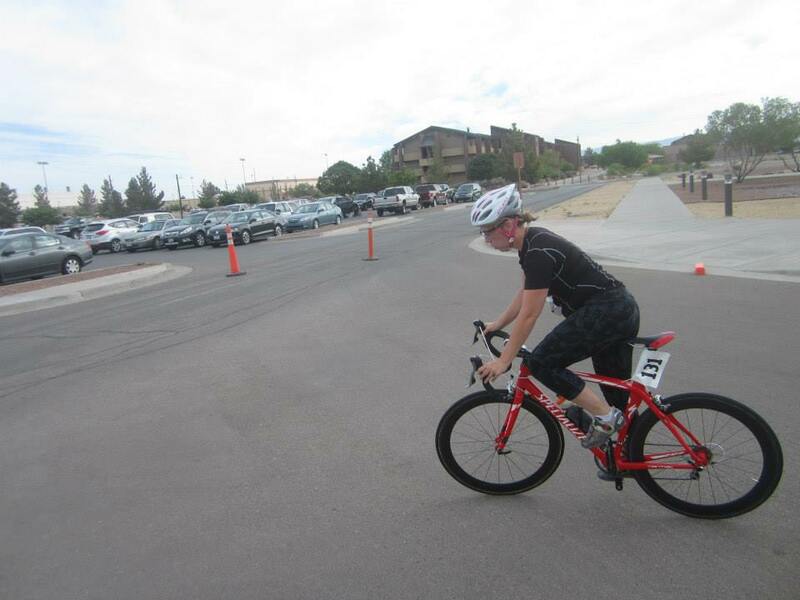 This was Eric’s first race and he placed fifth out of a lot of people. Awesome! 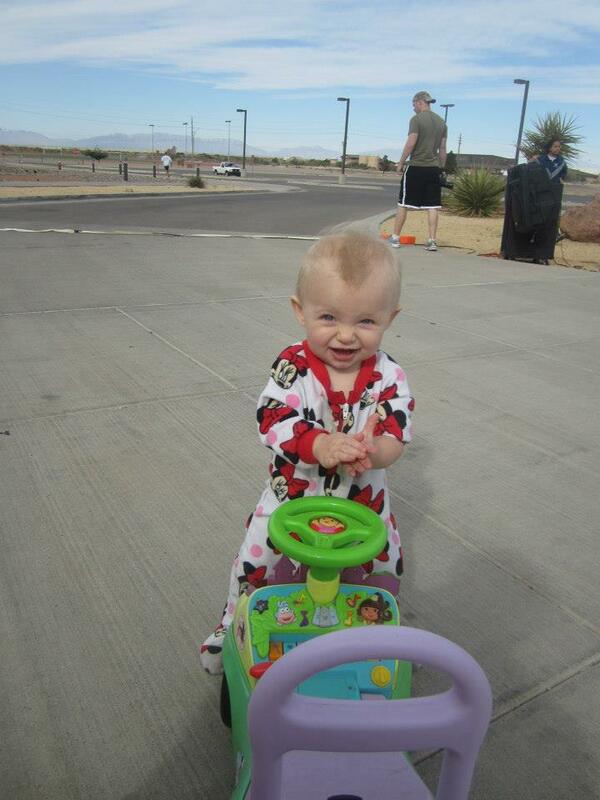 Olivia came along for the show and was pretty excited to watch all of the mountain bikes. She is all about anything with wheels! 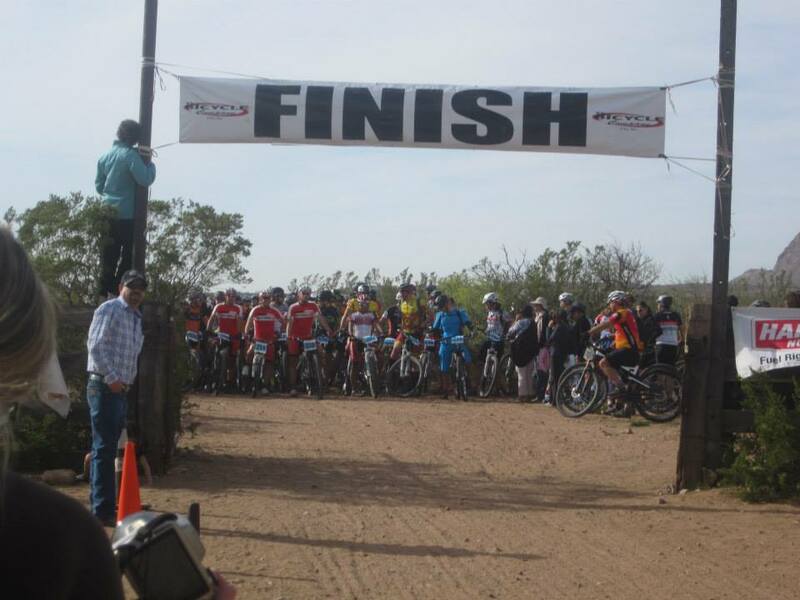 During the race, the bikers make a loop through the start line and then go out for another smaller lap. It was cool to see Mike come in so soon. I knew he would podium after I saw him come in on the first lap. And he did! 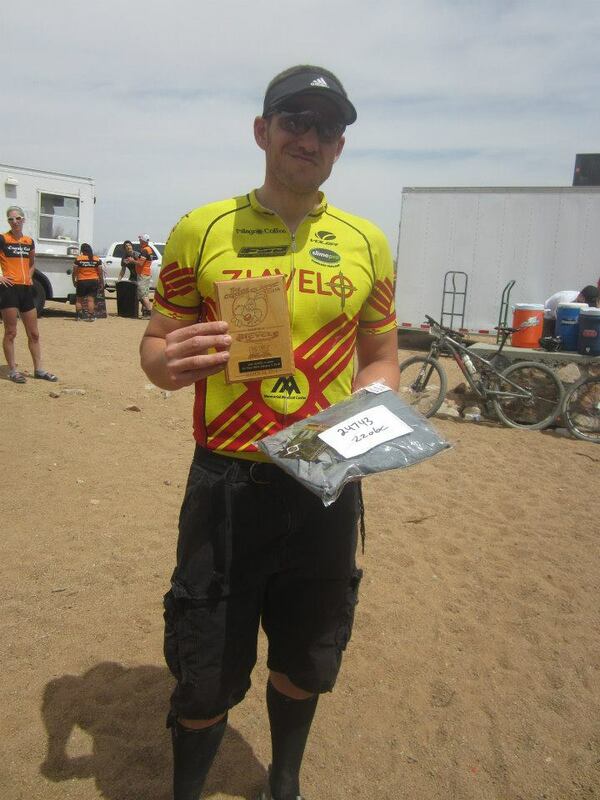 He got third place in his large 30-39 category! Mike pre-riding before the race! The crowd that showed up. It is always a big race! Right before the starting whistle for all of the categories! Overall, it was a success. 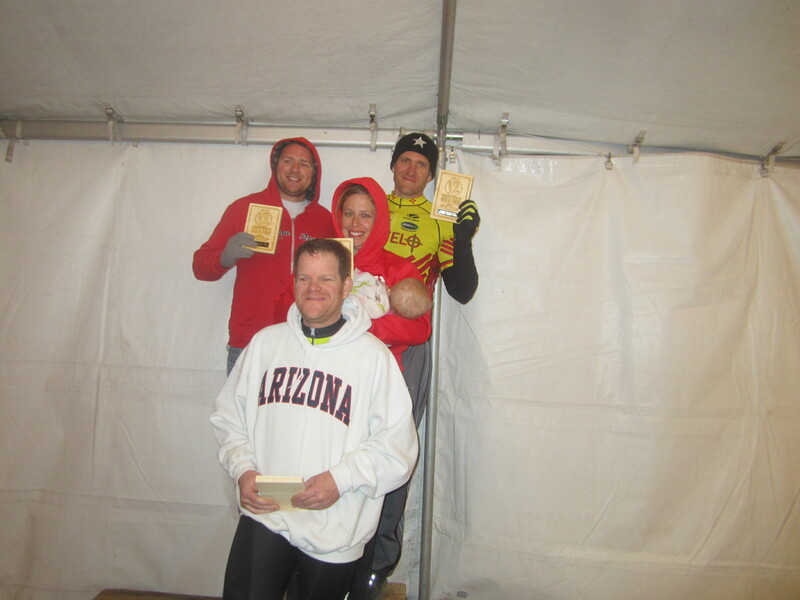 It is really competitive to get a podium in this race, so it was awesome to see Mike get a plaque! 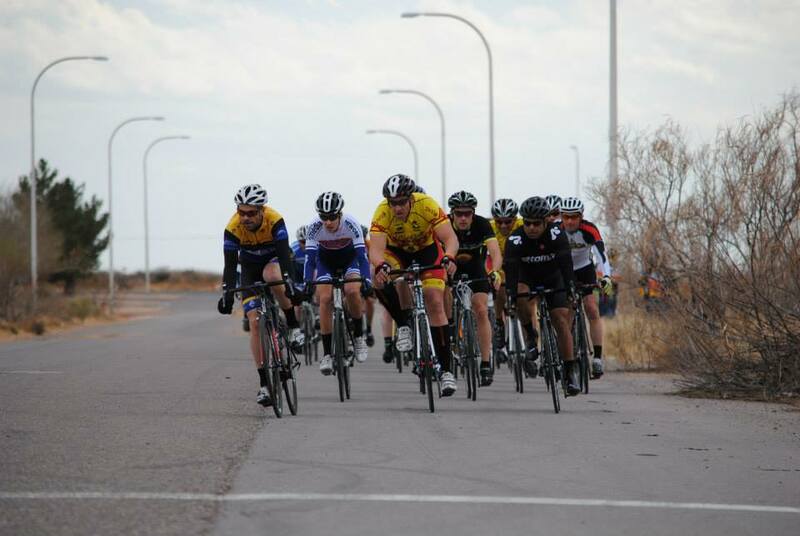 I love the Trifecta Omnium because it is a local race in Las Cruces, New Mexico. 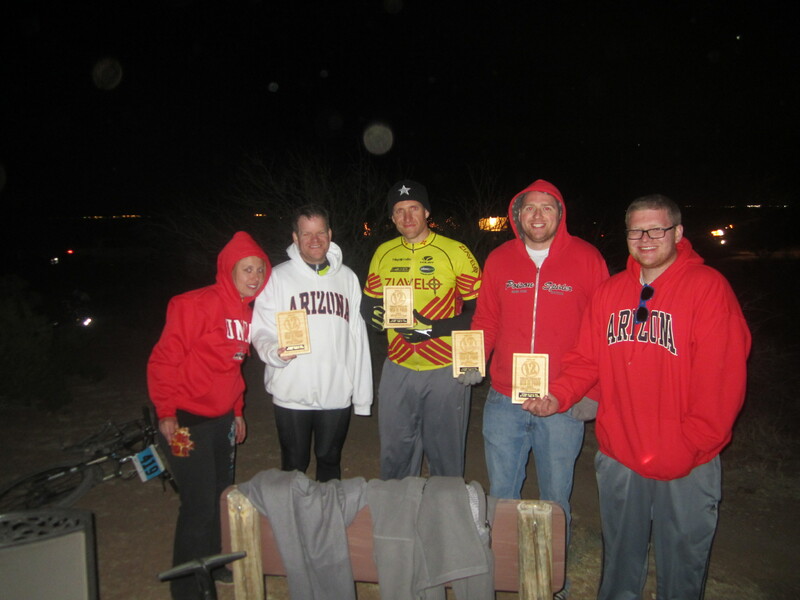 Zia Velo (our team) hosts it and does a great job making it eventful. I really like how they do the TT and Crit in one day. Usually on an Omnium event, it takes three days to do all of the events, but it makes it so much better when you can do it in two days. This picture above is Mike coming back in from his TT. He placed 5th place in the Category 4 group. The top people were all ten seconds apart. It was crazy how fast they all were! 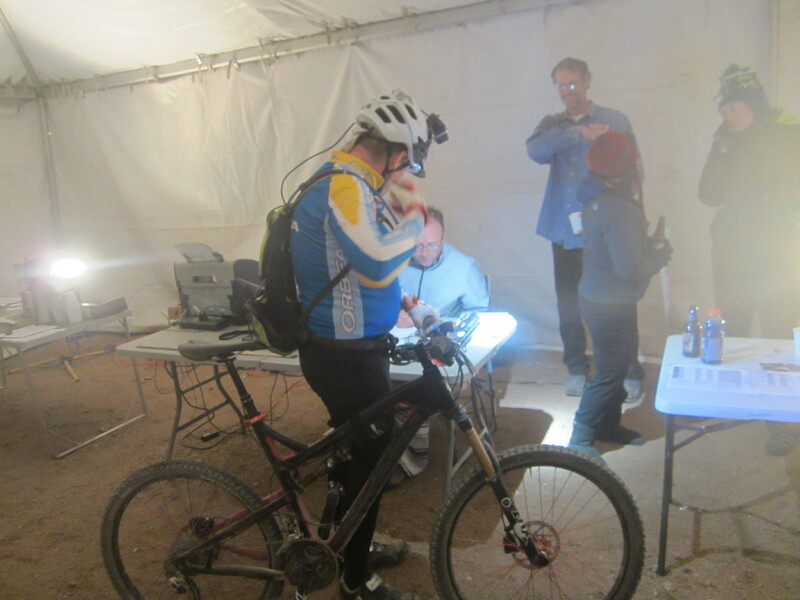 Olivia managed to come and behave herself, except when it was time for me to volunteer for the Crit. Then she decided to have a blowout and meltdown at the same time. Thank goodness after Mike’s race, he was willing to take over. The crit was actually really fun to watch. I was a volunteer and had to stand in the median as they passed me on the laps. 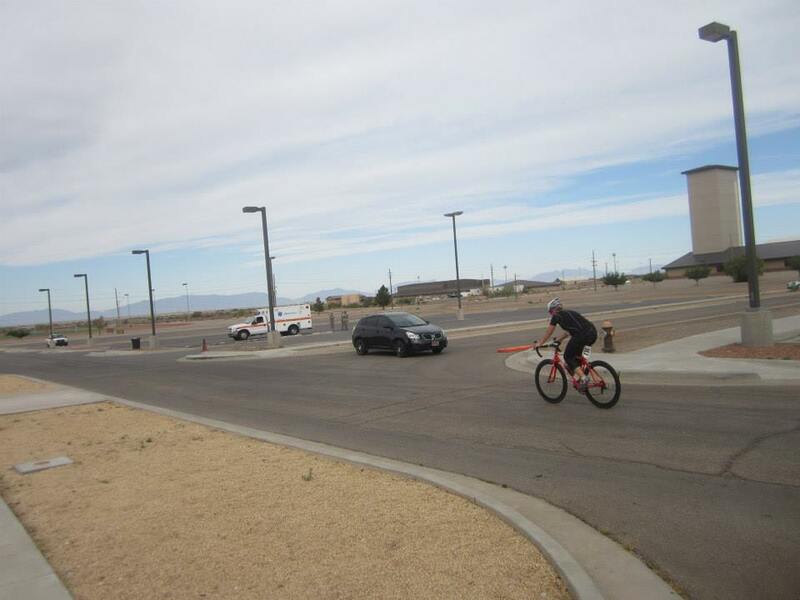 I was holding an orange flag and making sure they didn’t hit me. Unfortunately, I had to witness a pretty gnarly fall from the Cat 1-2-3 group. I saw a guy hit a cement barrier and go rolling across the pavement. It was intense! I love this shot of Mike. If you look closely in the background, you can see the ambulance. 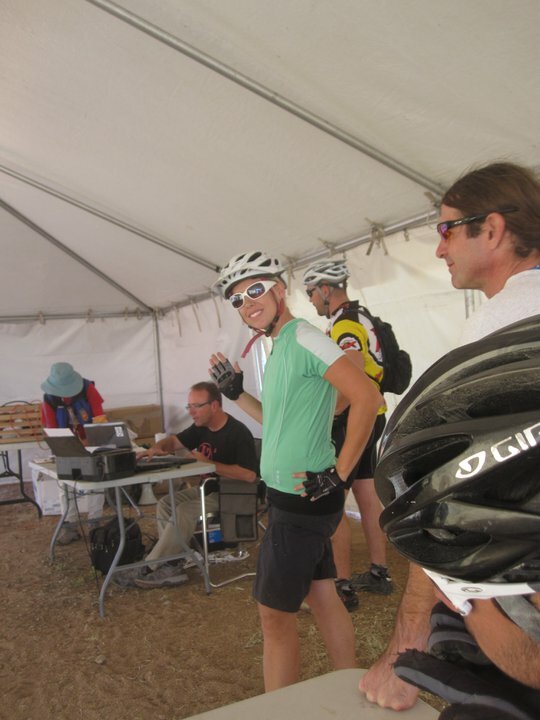 Here is Mike pre-riding. Can I tell you that he gives me a heart attack every time because he waits until the last second to get to the starting line! 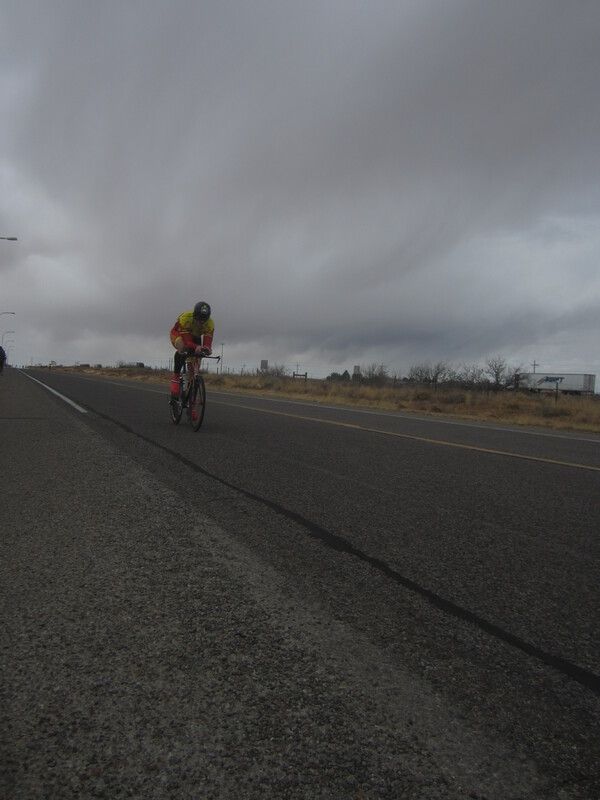 On the second day, the cross-country race takes place in a tiny town north of Las Cruces called Hillsboro. I rode it a few years back and loved it! The roads are smooth and they have an awesome climb that starts in the town and then climbs up towards the next little town. Yes, there is a lot of climbing! 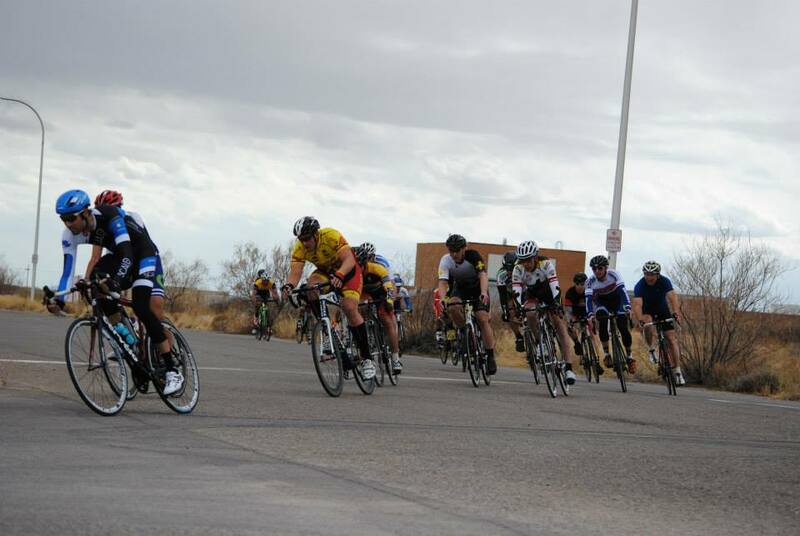 More action shots of the Cat 4 guys on the crit. Mike’s last-minute prepping. I like how they have these races out by the Las Cruces airport. The roads have less traffic and there is a lot more room to park. Overall, the weekend was a success! We All Can’t Be Good At Being Antisocial, Right? Today was definitely one of those days that I needed. I’ve had something to do every day this week and found I needed a little “me” time, which meant I actually had time to read a book (which I haven’t done in YEARS) and take the dog and kid to the park. I woke up around 6 with LO, made some breakfast, and then started gutting the garage to fit all of our Christmas stuff that magically doubled this year. I came across this little gem today while I was scrolling through Facebook during my “me” time. I was cracking up about the whole “Antisocial” thing for New Mexico because I was totally feeling like that this week. I thought it was some kind of joke! Really though. Ever since I’ve had Olivia, I’ve become MAJORLY antisocial. Sometimes it’s just easier to not make plans than to make plans and cancel them because your kid is being fussy right? Plus, I hate to say it, there aren’t a lot of things to do here in Las Cruces, especially in the winter time. So I LOVE the blog www.pbfingers.com and read it almost every day. I came across it a few years ago when I was trying out some quick, healthy recipe that I wanted to make. She is my hero for a few reasons: she quit her job to work from home, she loves Les Mills’ BODY PUMP just as much as I do, she lives in Florida (my dream), she certified to be a fitness instructor, and also has some really good workouts listed on her blog. Since I always need something to train for to keep me on track, I thought I would let you guys know that I am coming back to the mountain bike world. 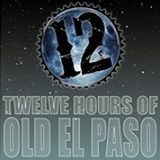 On February 1st, I will be racing the 12 Hours Of Old El Paso with Mike and his brothers on a co-ed team. 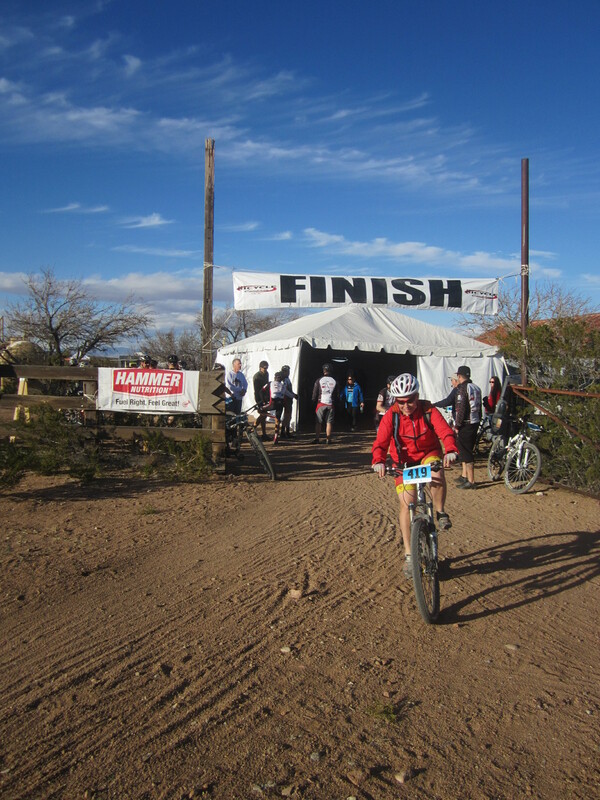 I am super excited because it has been almost two years since I have done a 12 hour race. 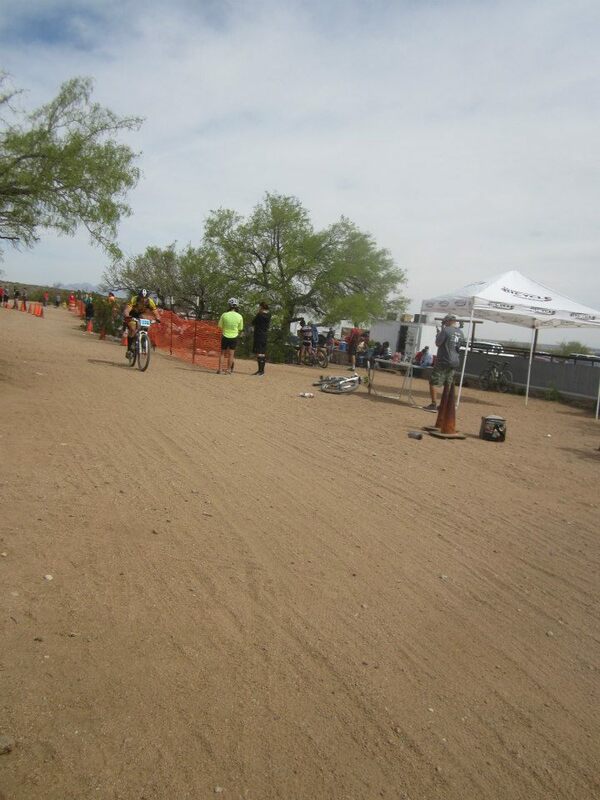 This course is super windy and has some great hill climbs. The people who put it on are super organized and lot of fun. It feels good to be back in the saddle again. I’ve missed you mountain bike world.